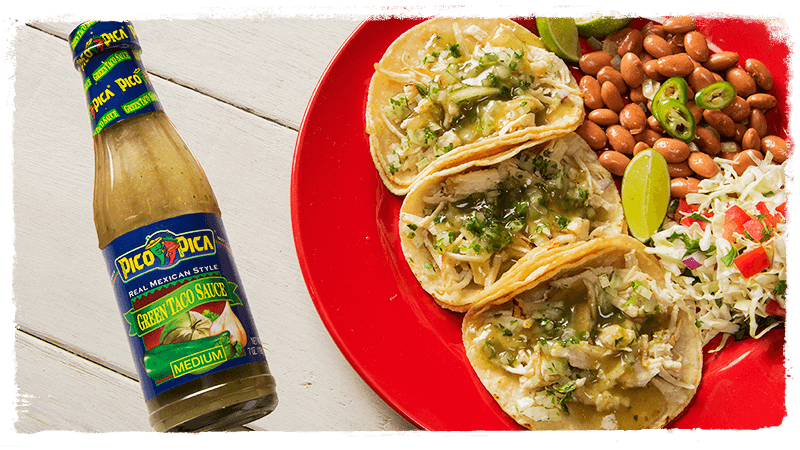 A special mixture of roasted tomatillos and jalapeños, just as it should be! 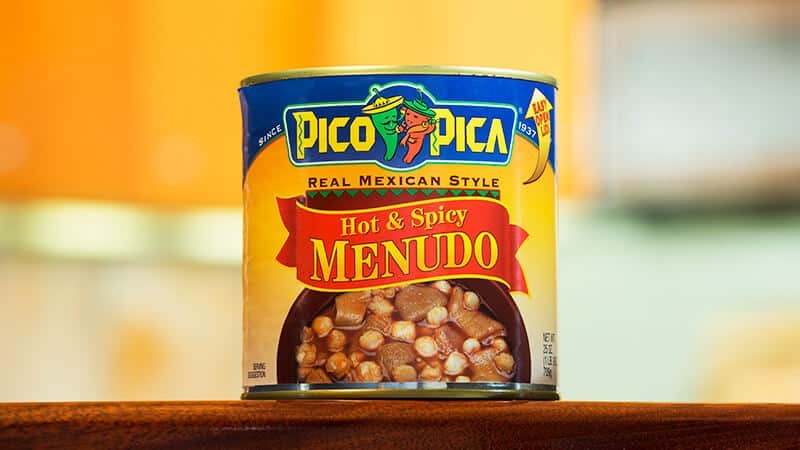 A rich, spicy Mexican flavor. 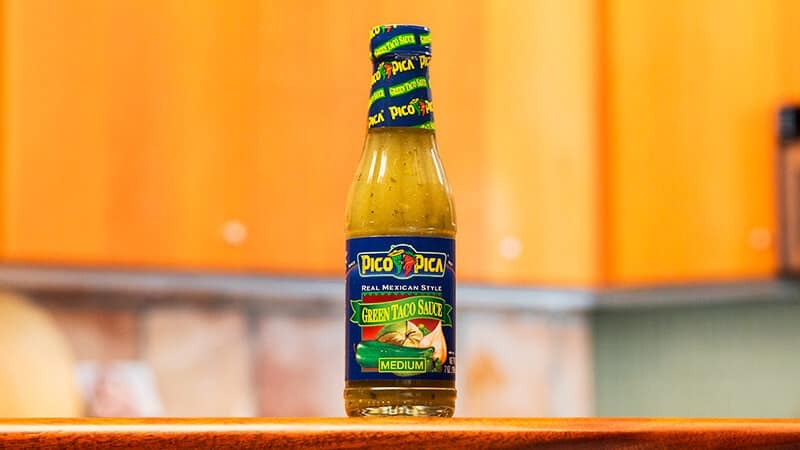 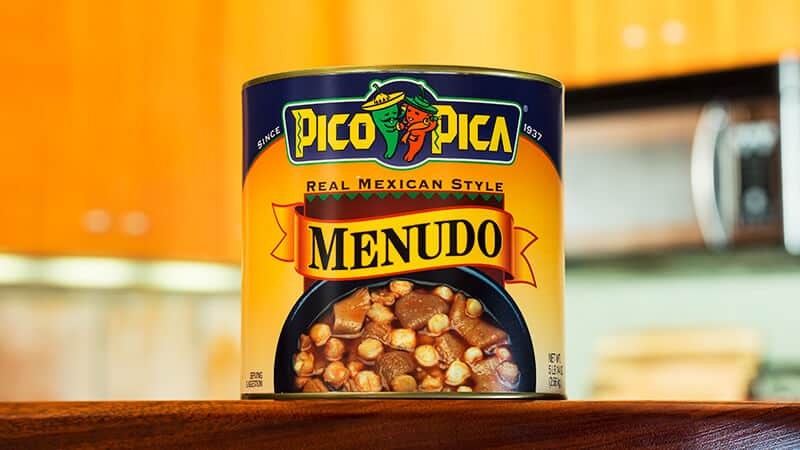 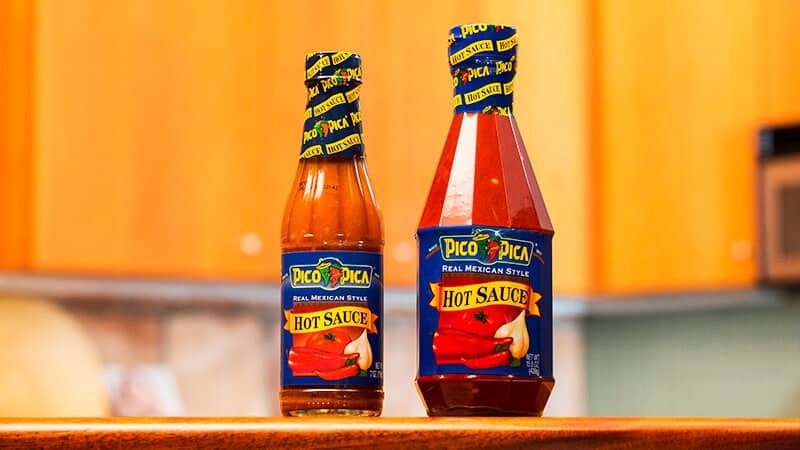 Pico Pica Green Taco Sauce uses the traditional spices of Mexican cuisine and combines it with the flavor of green chilies and roasted tomatillos to give it the perfect touch you need for your tacos. 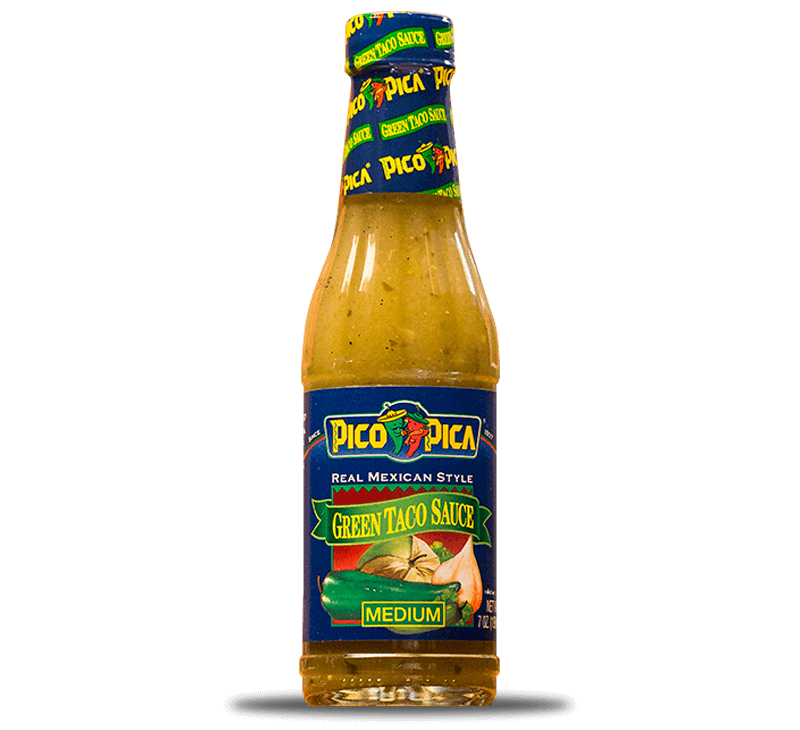 It is the perfect addition to breakfasts, lunches and dinners, because it is simply delicious. 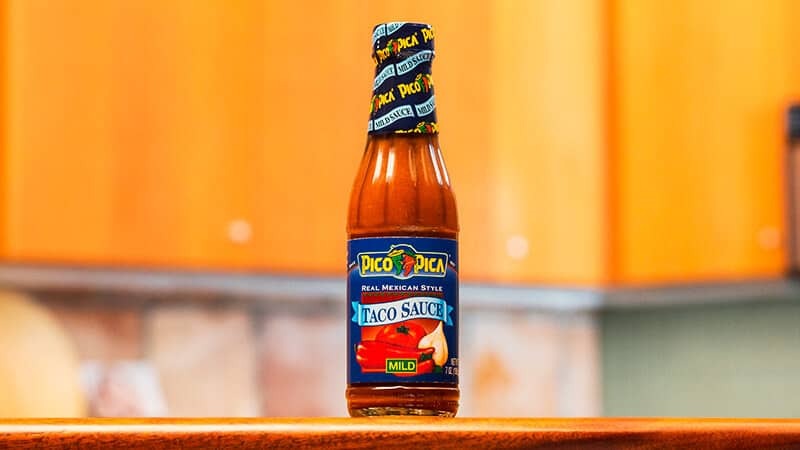 If you haven’t tried it yet, what are you waiting for!? 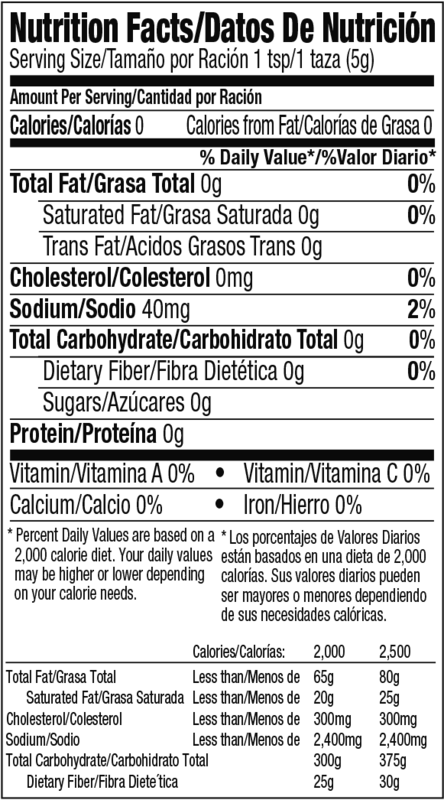 WATER, ROASTED GREEN CHILES, ROASTED JALAPENO PEPPERS, TOMATILLOS, SALT, LESS THAN 2%: MODIFIED FOOD STARCH, SUGAR, DISTILLED VINEGAR, CIDER VINEGAR, DRIED GARLIC, CITRIC ACID, DICED ONIONS, XANTHAN GUM, SPICES, SODIUM BENZOATE AND POTASSIUM SORBATE (AS PRESERVATIVES), NATURAL AND ARTIFICIAL FLAVORS.